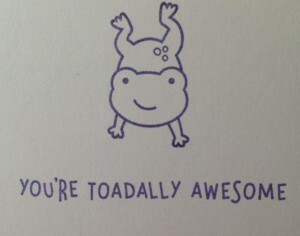 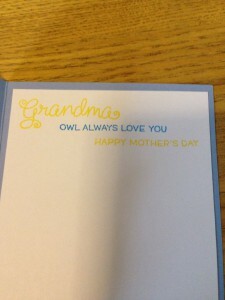 A Mother’s Day card for my grandmother. 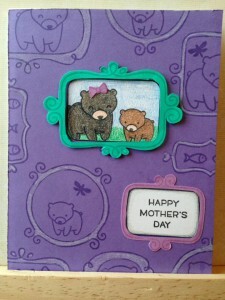 My daughter helped me to design this one. 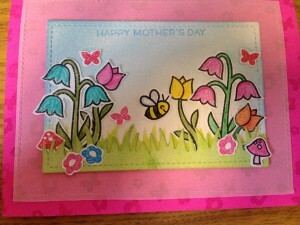 She also picked out the really bright pink card base. 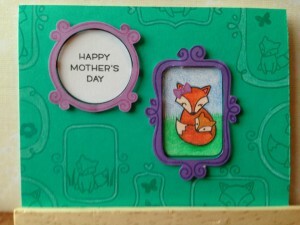 I decided to add a layer of velum to tone it down a little bit. 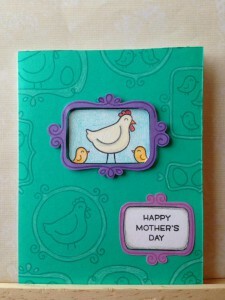 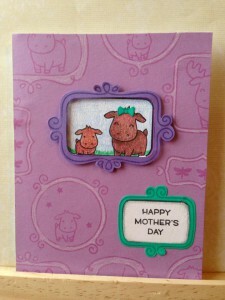 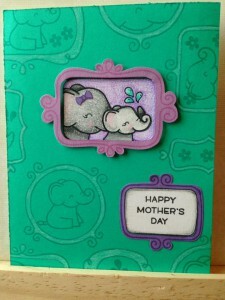 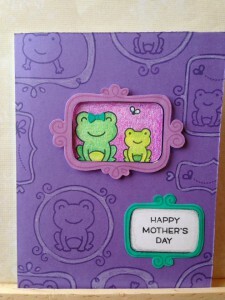 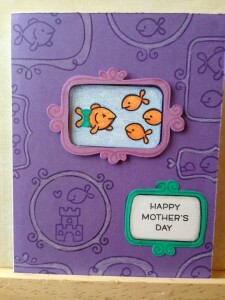 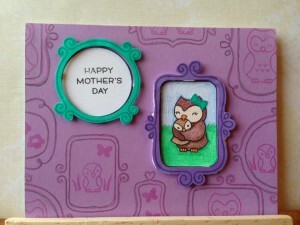 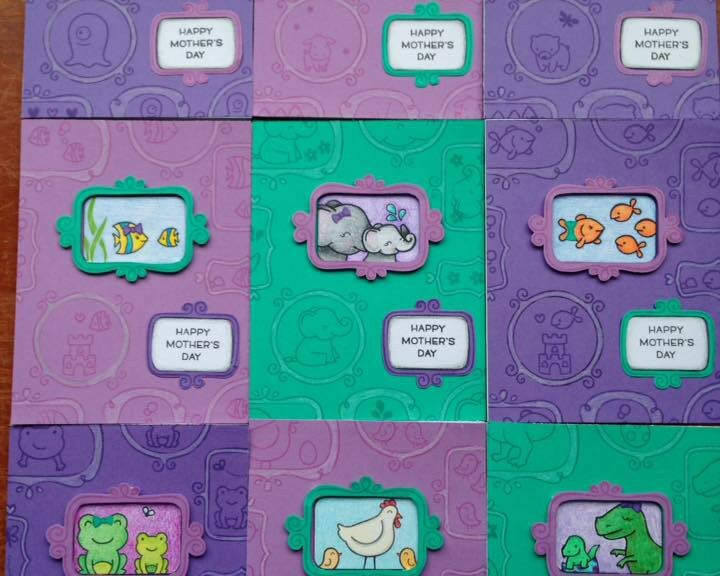 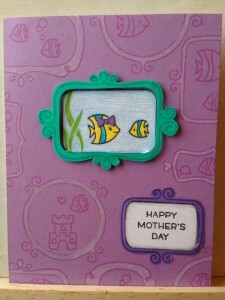 Extra Details: The stamped panel has a stenciled grass layer and a die cut grass layer. 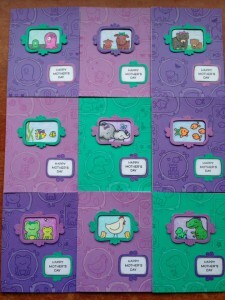 The images were all fussy cut and adhered flat to the panel. 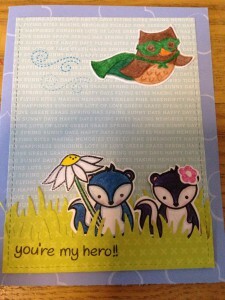 Inks: Distress inks in Mowed Lawn, Twisted Citron, and Salty Ocean. 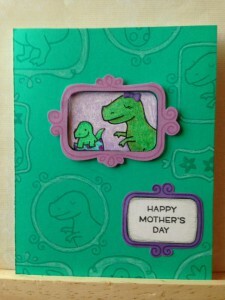 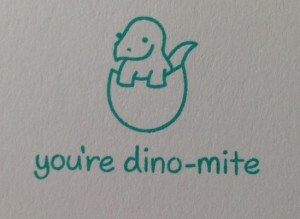 A Mother’s Day card for my mom. 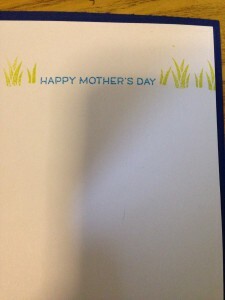 My son helped to design this card. 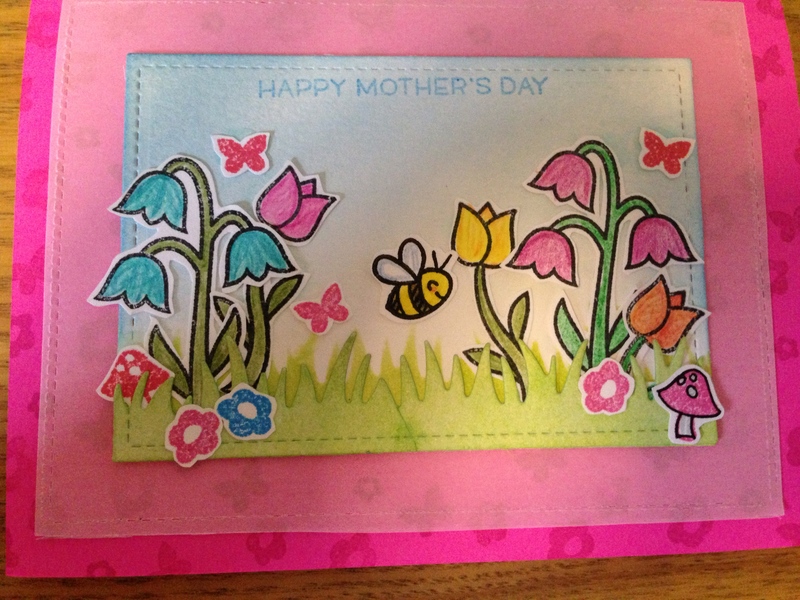 My son created the layout for this Mother’s Day card. 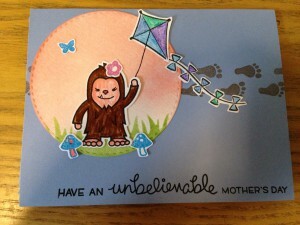 He just loves the bigfoot from Lovable Legends. 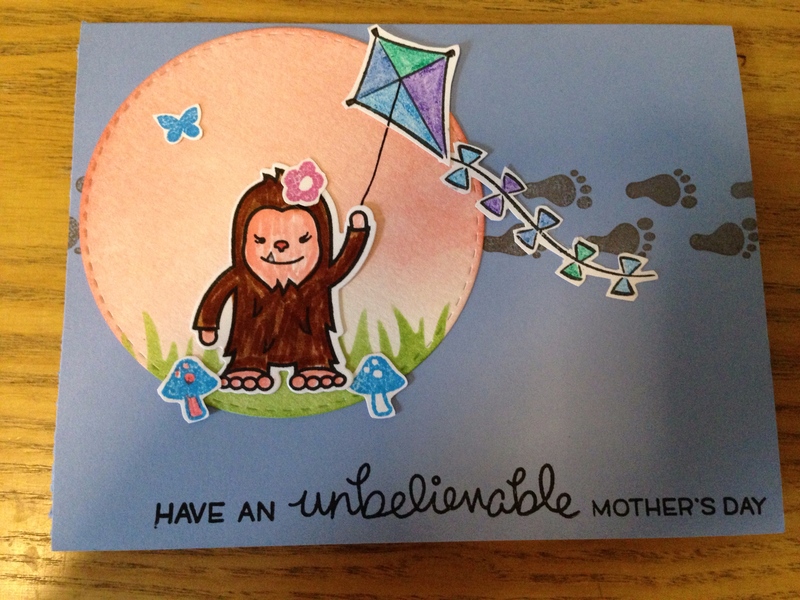 He decided the bigfoot need a sunset sky for her kite. Using a cardstock stencil we made with the Grassy border die we ink blended the grass and sky on the circle. 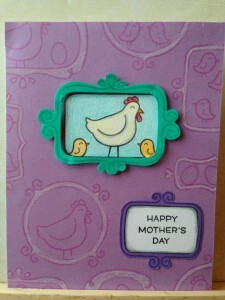 Extra Details: The images were fussy cut out and glued to the circle. 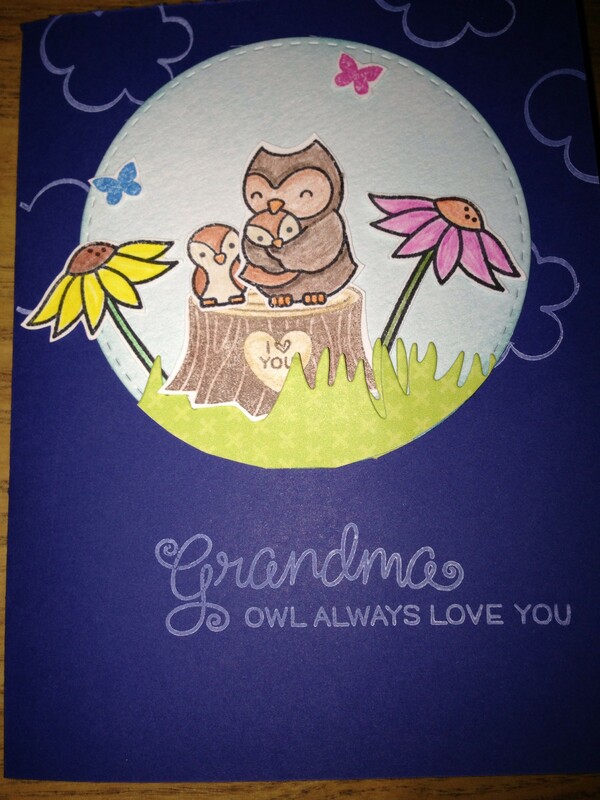 The circle was also adhered flat to the card base.